We aim to eliminate occupational illness by providing a workplace that is free from occupational health risk and hygiene hazard. We proactively work with employees and contract employee to contribute towards healthier lifestyles. This enables us to increase productivity, reduce absenteeism and enhance retention. Operations free from health risks have the potential to improve productivity. Knowing this, we have processes in place to manage and monitor health risks of employees. Health services commence with a pre-employment medical check-up followed by periodical medical Check ups and other on-site tests to keep track of the occupational exposure limits of the employees. 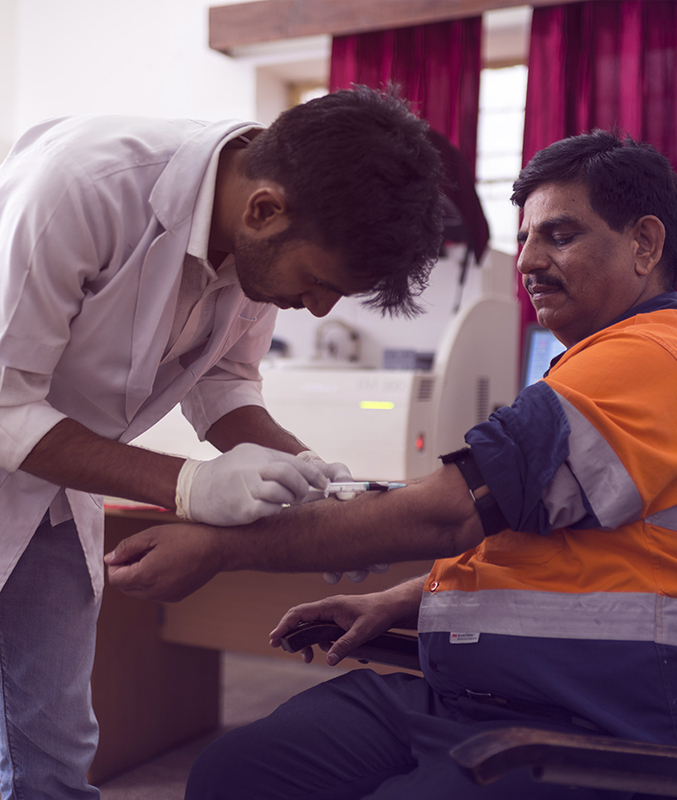 Specific examinations like blood lead level, spirometry, ophthalmic, and chest x-rays and blood profiling for toxic elements, such as, arsenic, cadmium, mercury, cobalt, lead, and chromium are the usual health parameters recorded for our employees. We have well-equipped occupational health centres, which are established in all major mines and smelters and supported by Occupational Health experts. The operations of these health centres are managed using Panacea software that coordinates all aspects of patient care, from pre-registration and admission to patient care and discharge.